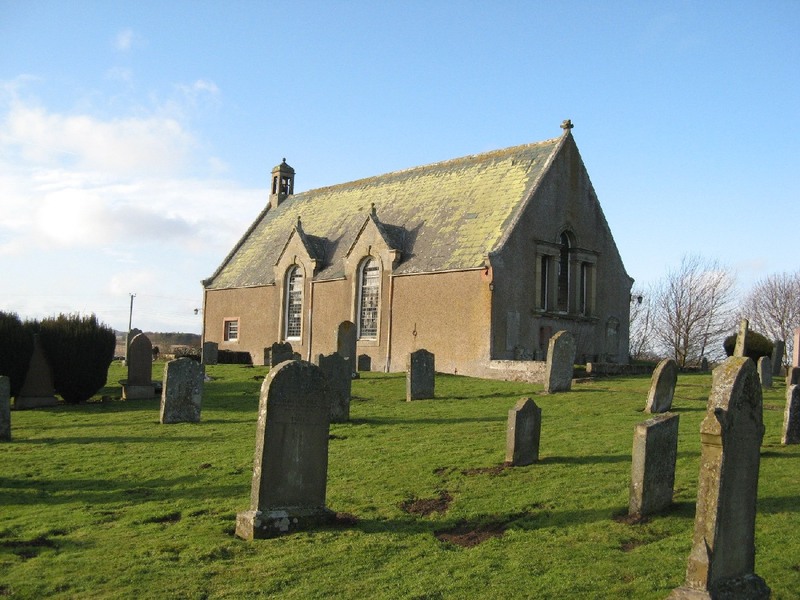 The Parish of Eckford is in Lower Teviotdale in east Roxburghshire and includes the villages of Eckford, Eckfordmoss, Cessford, and Caverton. 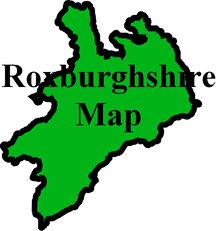 The Parish of Crailing lies to the west, with the Parishes of Roxburgh and Kelso to the north whilst on the east are the Parishes of Linton and Morebattle, the Parish of Hounam is on the south and the Parish of Oxnam is to the south-west. Eckford, along with Ancrum, Crailing and Lilliesleaf, is now part of the Ale & Teviot United parish. 2002 Reprint of Roxburgh Memorial Inscriptions edited by Elspeth Ewan. The 20 most common surnames on gravestones recorded by us in the Eckford monumental inscriptions volume are (number of gravestones in brackets): THOMSON (20), SCOTT (16), ROBSON (14), LAIDLAW (14), BROWN (14), SMITH (14), YOUNG (14), BELL (13), CAIRNS (12), GRAY (11), WOOD (11), JOHNSTON (11), CLARK (11), WILSON (10), RUTHERFORD (10), TURNBULL (10), OLIVER (10), BALMER (9), BURNS (9), TAIT (9). Caverton Mill School Admissions Register 1875 to 1942 (Ref - R/ED/3/6-7). Caverton Mill School Log Books 1909 to 1945 (Ref - R/ED/2/12-13). Eckford Parish Pay Roll Registered Poor 1889-1898 (Ref - R/PR/1/27/6). Eckford Record of Applications for Poor relief 1877-1930 (Ref - P/PR/1/27/7). Kirk Session Records (Ref - CH2/978). Minutes 1694 to 1754 and 1843 to 1954. 1968 Old Caverton Site under plough. Vols. 11 and 33 visited. Vol. 28 Dalgleishes, Gilchrists and Laidlaws of Eckford. Vol. 33 Church Armorial Panel. Vol. 34 and 37 Resurrectionists Watch Tower. Parish History Website contains a history of the area and details of persons associated. A Parish Website contains history of Parish and transcription of War Memorial. 1841 census: Eckford, Wooden, Eckford Moss, Blinkbonny, Haughead, Mosstower, Grahamslaw, Kalewaterfoot, Ormiston, Kalemouth, Kirbank, Eckford Village, Cessford, Essex Mains, Marchcleugh, Marlefield, Whinnyhouses, Caverton Mill, Broom Cavers, Caverton, Kersknow, Mainhouse, Beamount Forest. 1851 census: Eckford, Eckfordmoss, Wooden, Upper Wooden, Mosstower, Haughhead, Grahamslaw, Sunlaws, Kalewaterfoot, Kalemouth, Ormiston, Old Ormiston, Kirkbank, Caverton Mill, Cavers, Hillhead, Caverton, Caverton Mains, Kersknowe, Gowdens, Mainhouse, Mainhouse, Springfield, Bowmont, Marchcleugh, Cessford, Dykehead, Essex Mains, Whinny House, Marlfield. 1861 census: Eckford, Upper Wooden, Under Wooden, Eckford Moss, Mosstower, Eckford Mill, Haughhead, Grahamslaw, Sunlaws, Kalemouth, Ormiston, Old Ormiston, Ormiston Mains, Kirkbank, Cessford, Marlfield, Easter Wooden, Blinkbonny, Caverton, Hillhead, Bowmont, Springfield, Gowdens, Kersknowe.